Want to run your own online business? With WebAdvantage you can have your own online business. We create sites that you can manage yourself with no knowledge of website coding. Contact WebAdvantage today for a demo. Exotic Imports is a Rotorua based importing business. 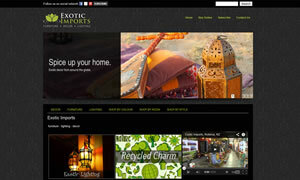 They imort exotic furniture, lighting and decor from around the globe. 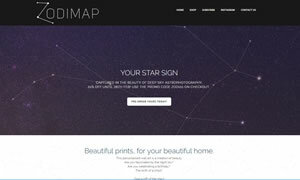 Zodimap make amazing A2 posters of your Star Signs, ready to frame for your wall. 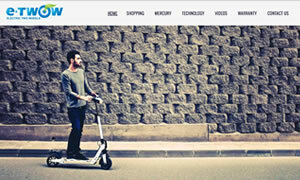 New Zealand agent for the European designed E-TWOW E-Scooters (sold worldwide). These new e-scooters are the newest , funkiest and coolest items promoting a new era in urban mobility. 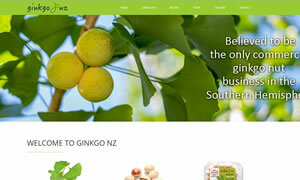 A family-owned orchard "Bay Park", nestled in New Zealand's sunny Bay of Plenty, is believed to be the only commercial ginkgo nut business in the Southern Hemisphere! 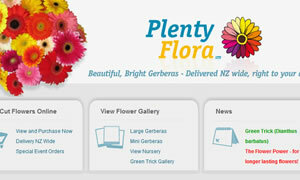 PlentyFlora offer a wide range of Gerberas which can be delivered New Zealand wide. Gerberas are the perfect gift for a special occasion or to show someone that you care or just to brighten up your own home.